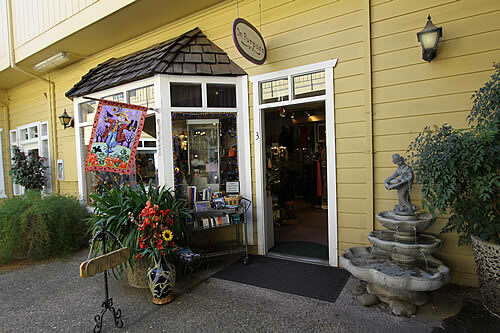 Sutter Creek is home to some of the most unique and interesting shops in Amador County. 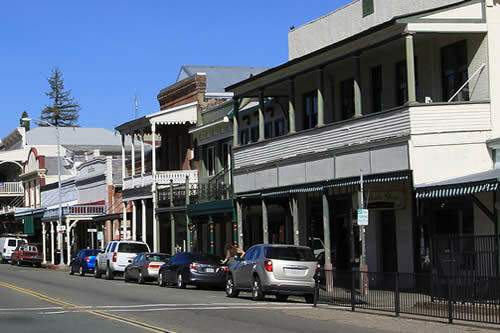 Main Street Sutter Creek is lined with a variety of Antique Shops, Clothing Stores, Gift Shops and Art Galleries. 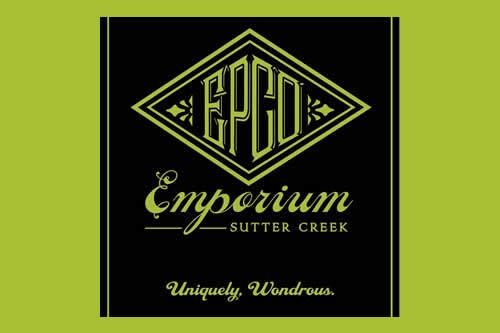 Enjoy browsing these Sutter Creek shops while partaking of our historic small town atmosphere. 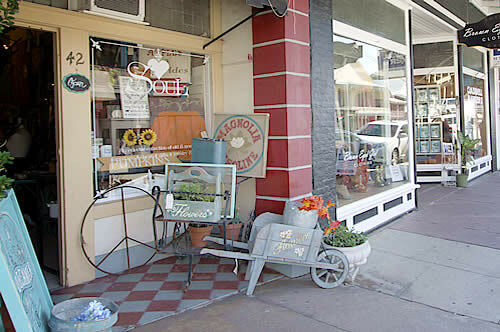 California Gold Country Shopping at it’s finest. Original works of fine art, paintings. 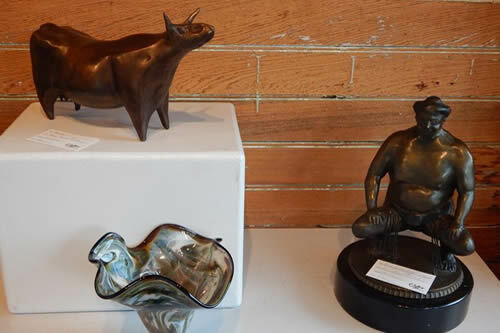 The group also showcases three dimensional pieces in bronze, ceramics, hand-blown glass jewelry and sculpted aluminum. 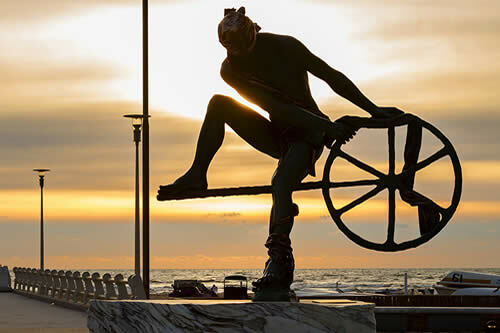 Introduction to the variety of artwork available. March – Nov Thurs-Mon 11-5. 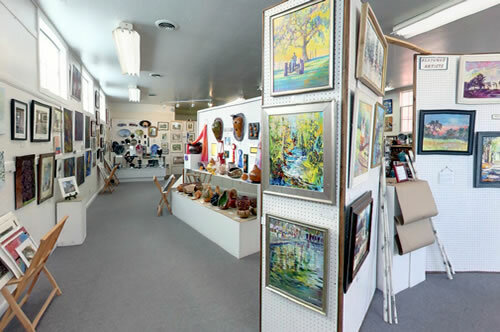 This art and photo gallery within Creekside Shops showcases fine art, limited edition prints and photography by local artists Patricia Stikeleather, Al Thompson and others. Unique images in this co-op. 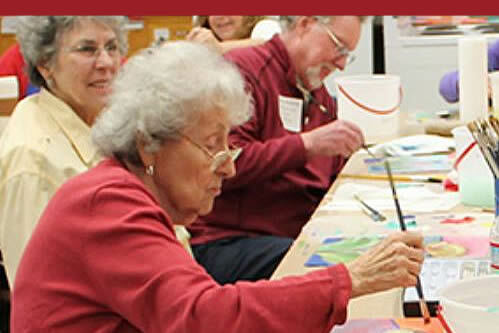 The Amador Arts Council supports, encourages and promotes the visual, literary and performing arts through programs, special events and partnership programs with the community and businesses. Open by appointment. At our three-acre Recycled Art Yard in Jackson, we have added an incredible variety of Mexican art: clay, sheet metal, rock art, wood art and much more. Recycled Aluminum Statues, Animals Life size! 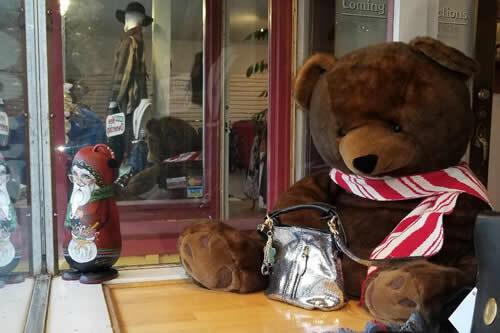 Open 9am to 5pm 7 Days a Week. Explore the unexpected at the Fine Eye Gallery. 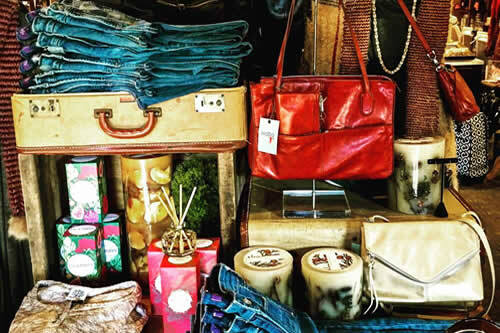 The gallery showcases striking contemporary American crafts, extraordinary furniture combining form and function, jewelry, shoulder bags, scarves. 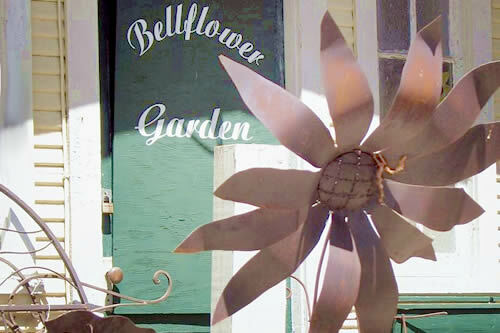 Bellflower Home and Garden Annex occupies nearly all of the Chichizola Store. The earliest part of the building was completed in 1877. 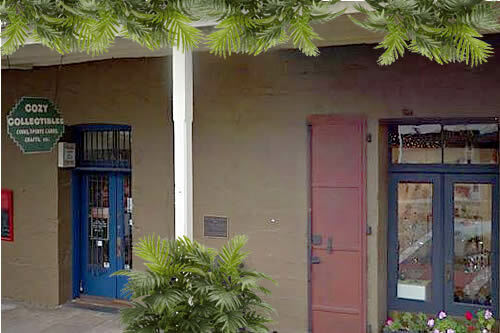 Located on Water Street, everyone passed the store on their way to the original gold mining encampment up stream. A large addition to the building was completed sometime in the next ten years. 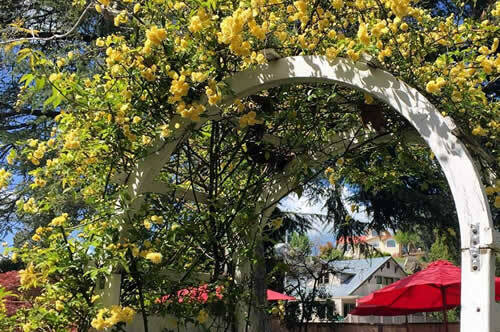 With two foot thick foundation walls and full steel doors to protect from fire, this building is authentic, surviving the fires that used to sweep through town. 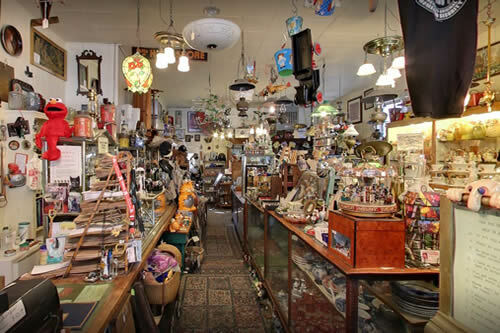 First, housing a General Store in the Gold Rush town of Amador City, it was filled with so much merchandise that rafters were used for displaying the goods! The Chichizola Store remains the largest commercial building in the town. Many years later, the Antonini Family purchased the building. They operated a general store and converted part of the original building into a feed store. The family also operated the Associated Gas Station that used to occupy the current outdoor display area for Bellflower. 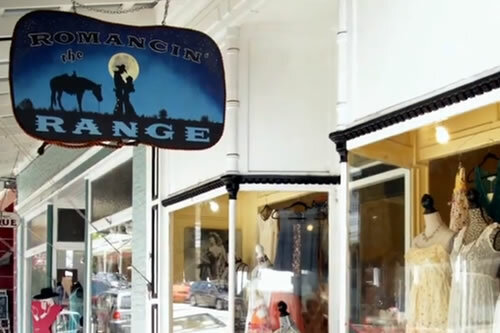 Dan Schutz, Proprietor, finds merchandize that helps tell the unique story of Amador City and its early history. 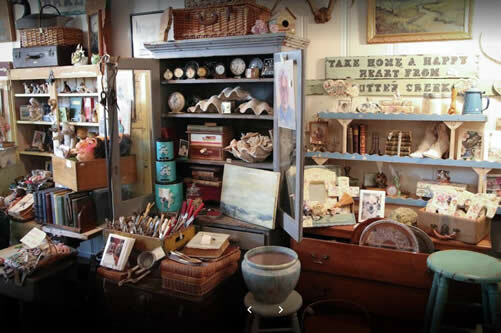 These wonderful objects are displayed in vintage cabinets. 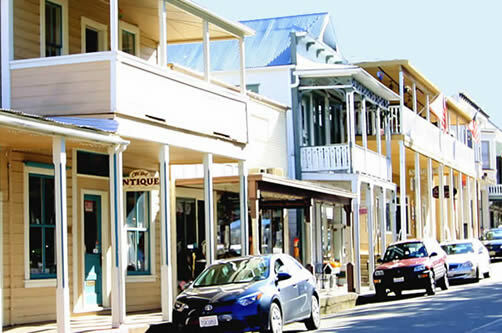 In original Amador City homes, there are antique shelf brackets. 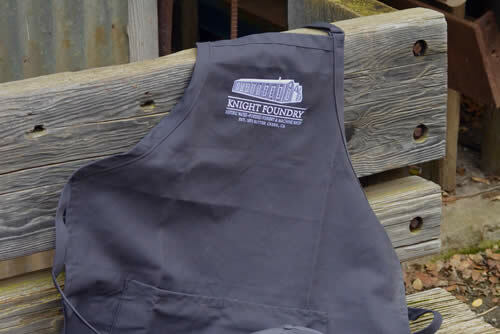 Expensive and hard to find, Dan carries cast iron reproductions of the original designs. Also, cast iron switch plates with similar traditional designs are available for restoration projects. Note pads that feature Amador City as THE CITY of the world are printed on 50% recycled paper with a 15% post consumer content. 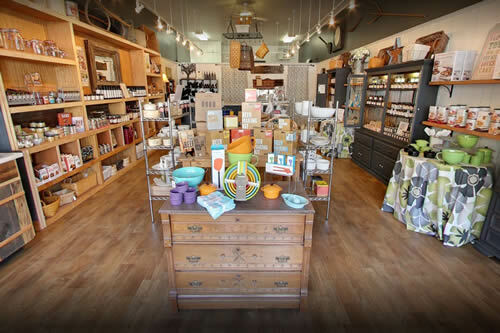 If you have just sampled wines from the 150 year old vines in the Shenandoah Valley, a fine selection of grape and wine oriented objects is available. A fruited olive branch is a reminder of the exquisite local olive oil that you just purchased from Andrae’s Bread and Cheese Shop. A long time ago, when truck brakes were not so good and Highway 49, along the route that the original 49ers took, was very narrow, Tony Antonini was just a lad. While he was managing the Gas Station for his Dad, he heard a loud horn. Tony knew that a truck had lost its brakes. Being smart, and standing right in front of gasoline tanks, he ran! A Southern California truck was coming down Highway 49, overloaded with watermelons. Missing the gas pumps, the truck plowed through the Station and up the hill. It stopped after destroying a burial chamber in the City Cemetery. This is true, Tony himself told me the story just a few years ago. Fast forward to today! The Associated Gas Station is gone, brakes are reliable and you will enjoy the fabulous yard art in Bellflower Annex. 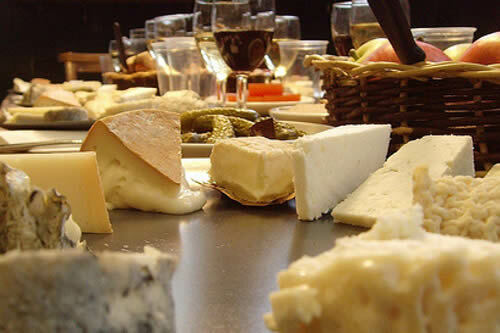 Three animals, 20 countries, 80 cheeses – imported and domestic, cow, goat and sheep milk cheeses sourced from artisanal cheesemakers and small dairies. New cheeses arrive four times a week; special orders are welcome. Proudly offering our wines, Miller Wine Works. 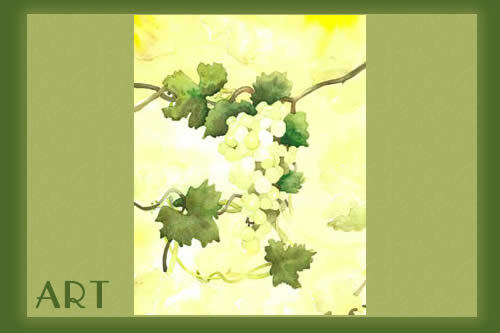 Artisan wines handcrafted by Gary Miller, since 2000. Fruit sourced from sustainably farmed vineyards in the Sierra Foothills. 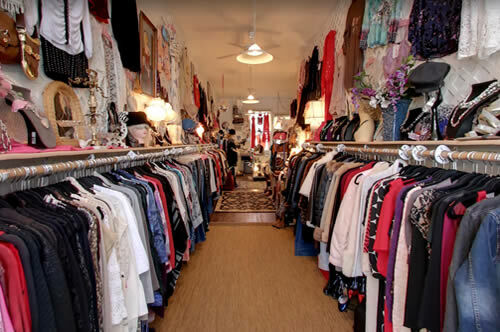 Open 7 days-a-week from 10:00am until 5:00 pm. 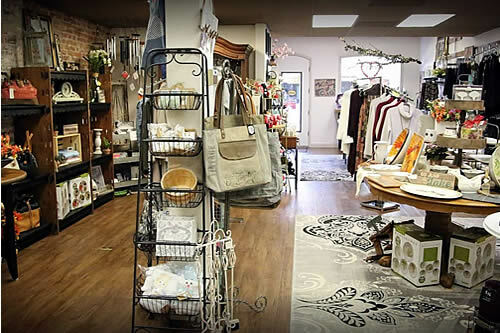 Specializing in home décor, placemats, runners, baby gifts, candles, cards, seasonal & quality gifts. 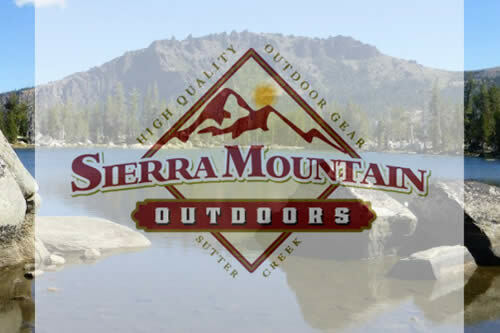 Our goal is to provide you with most-excellent customer service, quality products, and great prices. Jim & Becky Olvera, owners. Open 7 days a week. Mon-Sat 10-5. Sundays 10:30-5. Only the best for your pet. 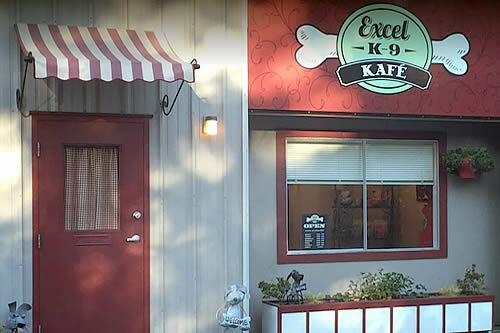 Come find the best foods, toys, treats and supplements for your dog or cat. Wide selection of grain free and raw pet foods. Pets Welcome!! Widely known for its unusual animated and musical clocks. 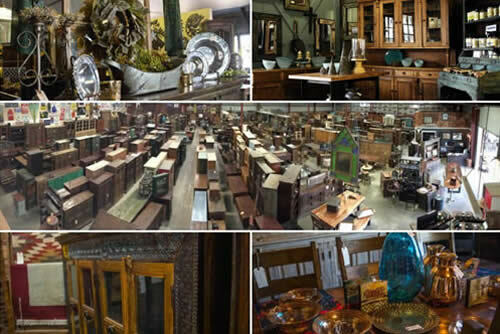 Owners also specialize in unique and contemporary music boxes and collectibles. 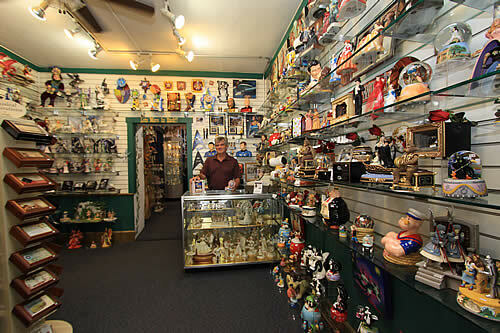 You will find everything from Disney to Classic Italian imports. Hours Thur-Tues 11-5. Closed Wednesdays. 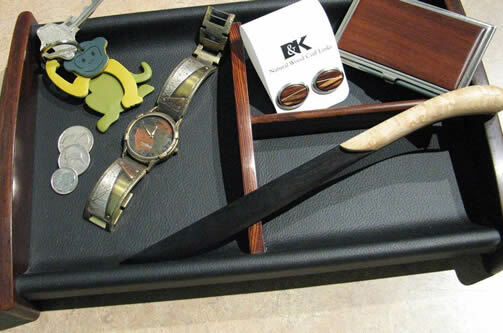 On Purpose features books, stunning natural crystals, minerals, fossils, unique jewelry and unusual imported objets d’art. 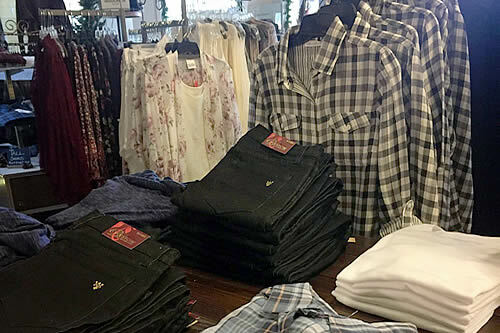 Wednesday – Monday 10am – 5pm, Friday and Saturday until 5:30. 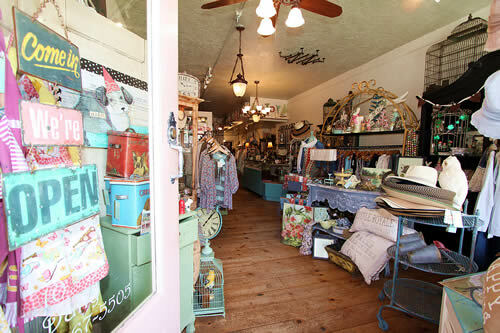 At Heart & SOUL you will find a quirky mix of old and new….custom painted furniture, vintage, handmade and market finds. 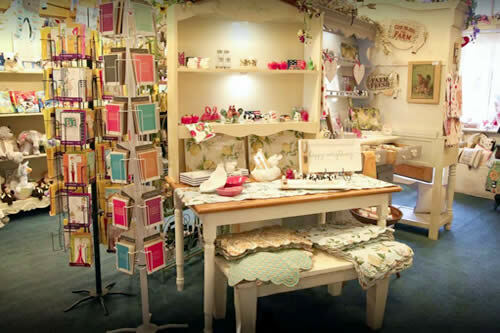 We are now a proud retailer of CHALK PAINT® decorative paint by Annie Sloan. Gourmet salamis and cheese, infused olive oils, raw wildflower honey, Stonewall Kitchen, kitchenware, cookbooks, coffee beans, teas & more.